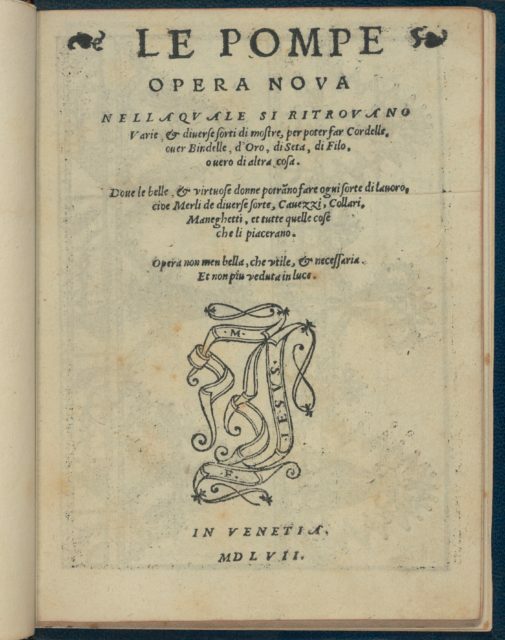 Published by Giovanni Battista & Marchio Sessa, Venice. 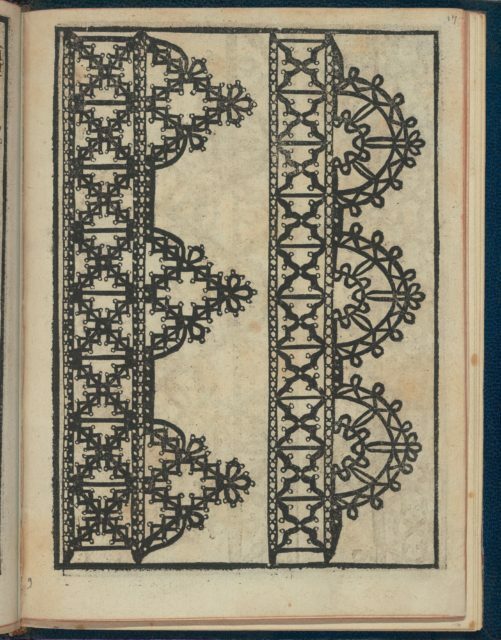 From top to bottom, and left to right:Design composed of 2 vertical columns. 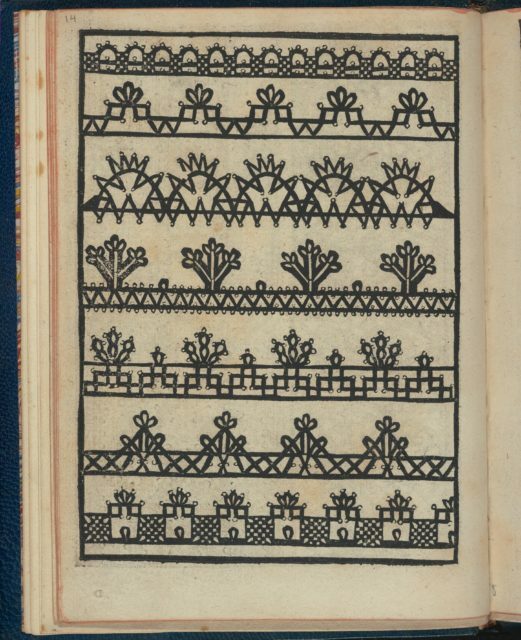 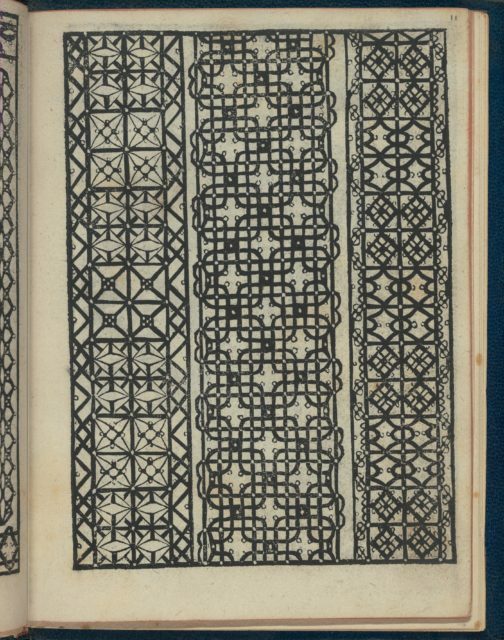 Left column is decorated with a pattern of overlapping mandorla shapes and diamonds, which all contain floral motifs. 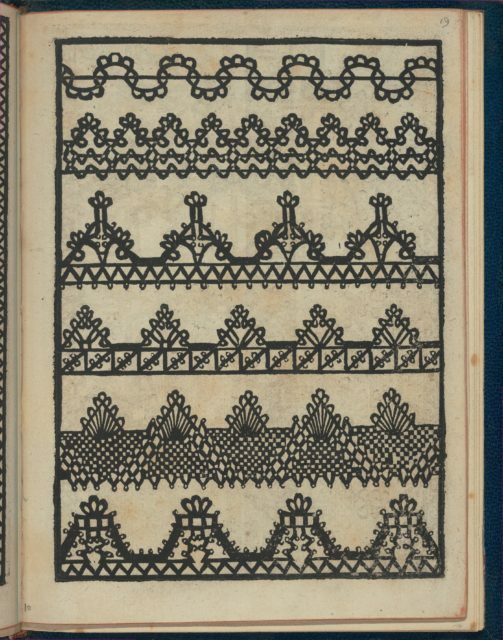 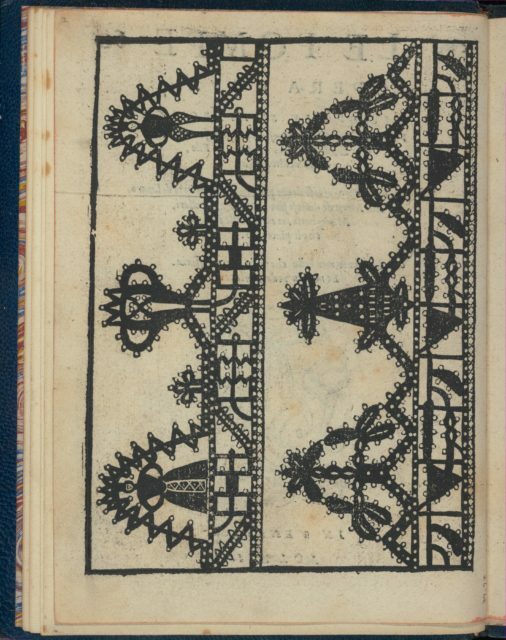 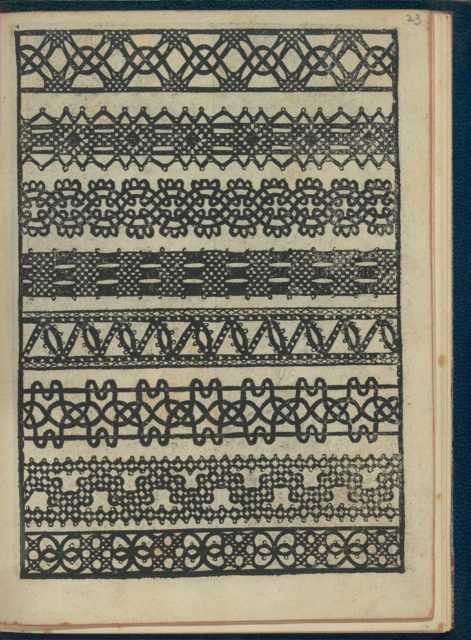 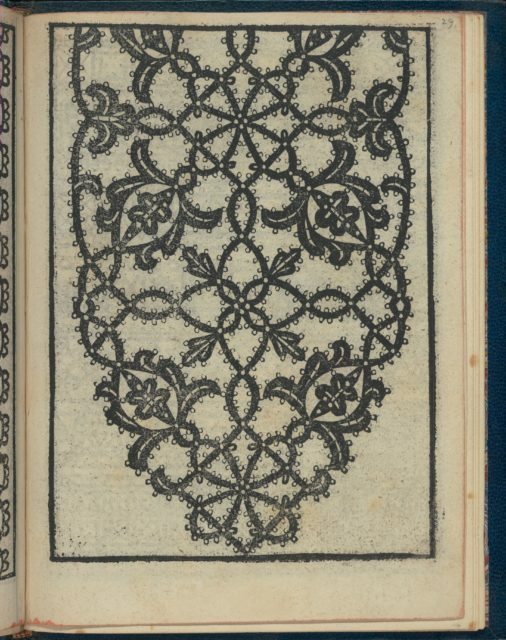 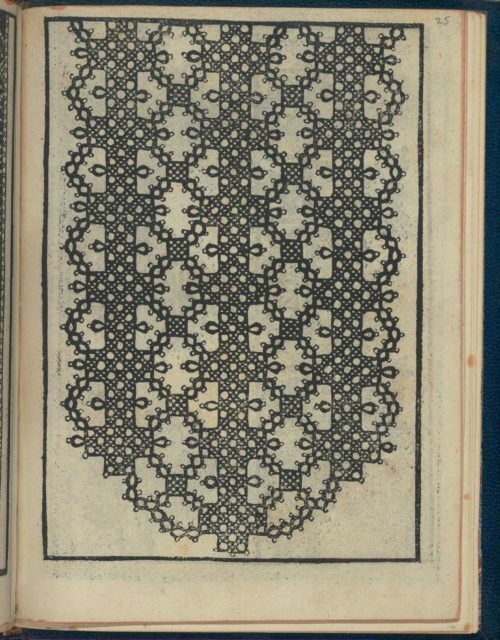 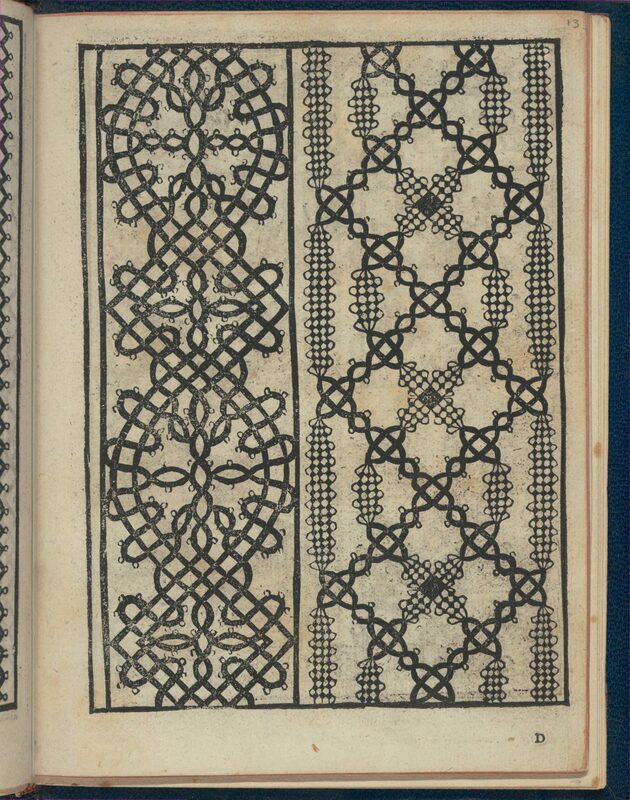 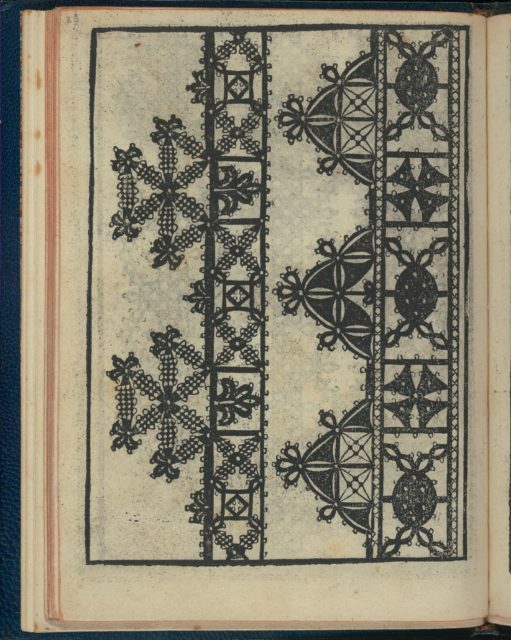 Right column is decorated with a pattern of diamonds that contain black-and-white 4-petaled flowers.